Yesterday, we were very glad to talk with TIS students. 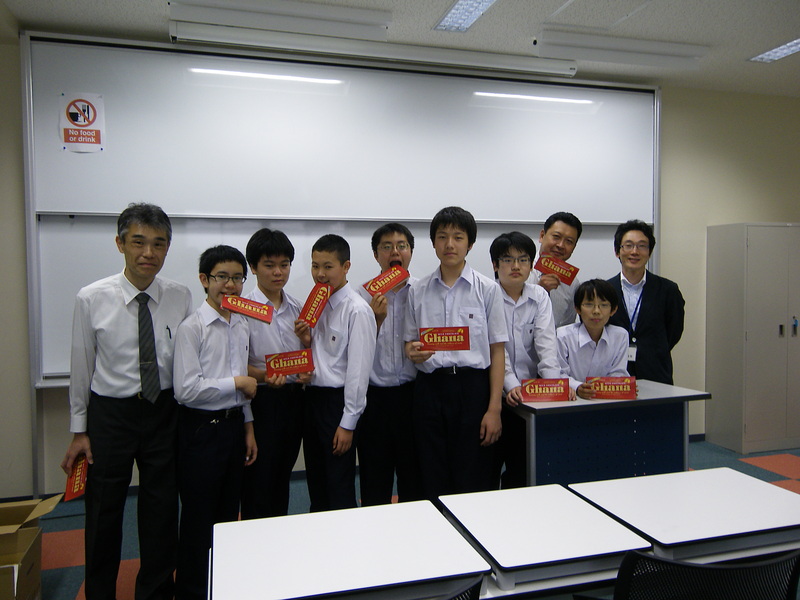 From left to right, Mr. Shino, Tenpei, Tomohiro, Yunosuke, Ken, Ryota, Tatsuya, Mr.Kaizuka, Naota, and me. Posted on June 1, 2012 by gjveep	• This entry was posted in Kogyokusha Boys School. Bookmark the permalink. We’d like to restart GJVEEP. I feel like eating chocolate!!!!!!!!! !